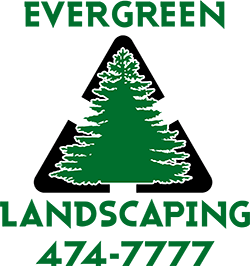 Evergreen Landscaping offers a full range of landscape maintenance and design services with a focus on a range of needs such as large estates, homes, and commercial properties. Annuals and perennials can provide a dramatic burst of color that will highlight an otherwise non-descript area of your landscape. 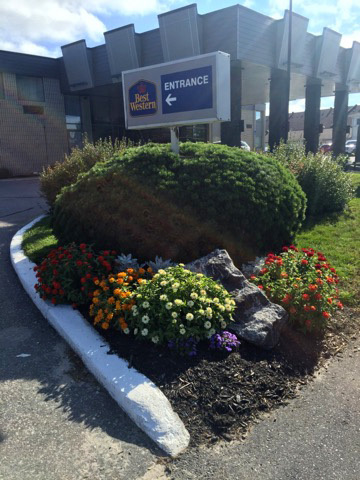 When planting an in-ground flower bed consider mixing different types, colors, and sizes of annuals and perennials. North Bay Evergreen recommends a color change three times per year. It is great to do this seasonal so that you can have new flowers for Spring, Summer, and Fall. Call us today. Calcium Nitrate is a fertilizer made up of two basic nutrients, Nitrogen and Calcium that are water soluble and can be absorbed quickly by plants. The fast acting Nitrogen helps “green up” turf and shrubs while calcium improves the quality of tightly compacted clay soils and thereby facilitating water and oxygen activity. Treatments are usually applied on a quarterly basis. Re-purposing lifeless, uninspiring spaces and walkways into elegant interlocked and landscaped areas will add that finishing touch to your exterior. Our years of experience in interlocking products provides us extensive knowledge in quality selection. 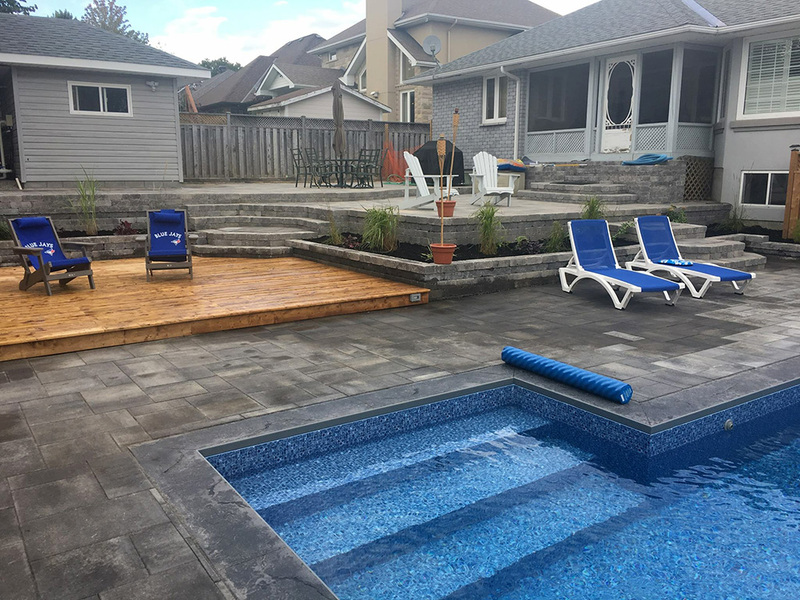 Interlocking stones can offer timeless solutions for a variety of projects including driveways, walkways, outdoor patios, stairways, pool decks and more. 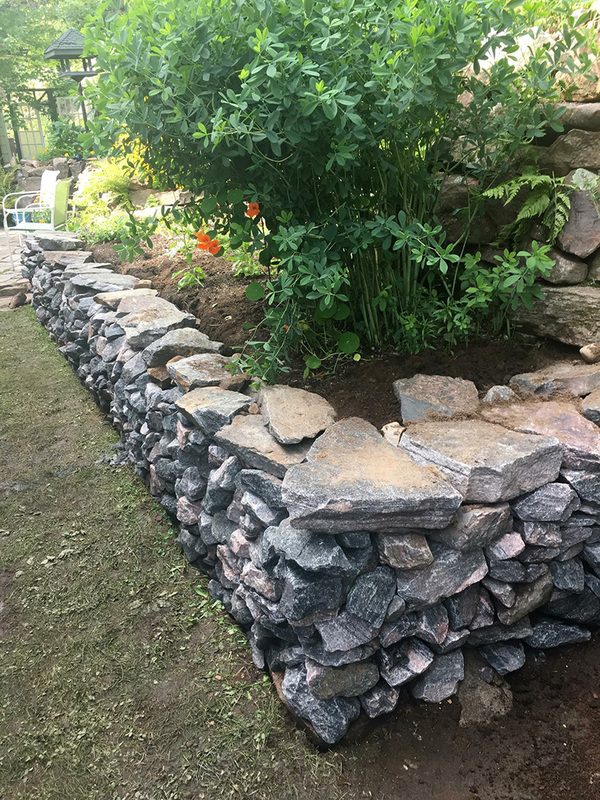 Interlocking stones can withstand high traffic and a wide variety of Canadian weather conditions. Aphids are small insects that can leave your tree stressed and covered in honeydew. You may think having honeydew is a great thing, but in this case it is not. This honeydew is a result of aphid droppings that attract ants with its sweet, sappy characteristics. If left alone, you will not only have an aphid problem, but an ant problem along with an area of damaged ground around your tree – blackened and sticky from Honeydew droppings. These problems can all be avoided with this safe and eco friendly preventative measure. Tree injections need to be done about once a year to ensure this infestation does not occur. Relax, laugh, share meals and soak in the summer on your new dream deck while enjoying your outdoor space in privacy with a fence that compliments your outdoor living space. We design your outdoor living space according to your lifestyle and budget. 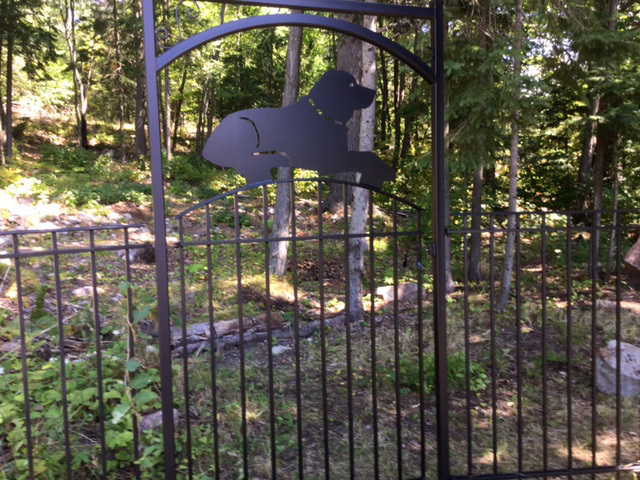 Our custom decks and fences are constructed with four foot holes and the finest materials to give you an attractive, low maintenance deck and fence you’ll enjoy for years. Giant Hogweed is a perennial plant and a member of the carrot family. 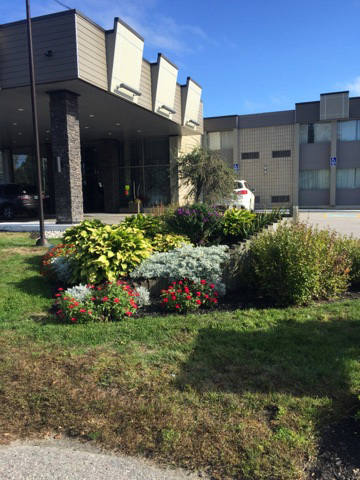 It is a garden ornamental from southwest Asia that is naturalizing in North America and becoming more common in Ontario. Giant hogweed has the potential to spread readily and grows along roadsides, ditches and streams. It invades old fields and native habitats such as open woodlands. The clear watery sap of giant hogweed contains toxins that can cause severe dermatitis (inflammation of the skin). You can get severe burns if you get the sap on your skin and the skin is then exposed to sunlight. If you have giant hogweed on your property, call us! Snow Shoveling for decks, patios, sidewalks, driveways, pathways, steps etc. We can customize Winter Maintenance place for you. Discounts are available for Annual Service plans. Specific times for service are a premium service and will be priced accordingly. Call us today before the snow flies! Take advantage of early signups before you’re stuck! 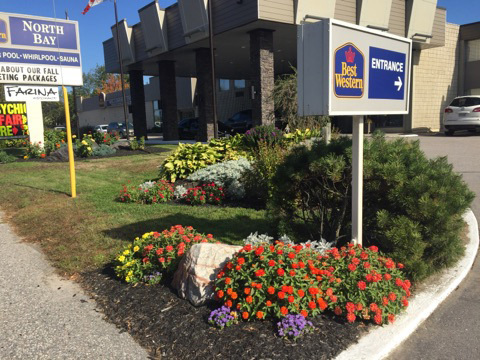 Winter is a time of year when you need to pay extra special attention to your landscaping. Freezing temperatures, ice, snow and winds can wreak havoc on lawns, shrubs and more. Following are some tips to help you protect your landscaping and thaw your worries from the winter freeze. · Cut grass shorter. Your final lawn cutting before winter hits should be 2 to 2.5 inches in order to protect new growth and minimize the risk of your lawn becoming a feeding ground for pests. · Rake leaves and remove debris. These items may smother your lawn and stunt the growth of new grass – or even kill it altogether. · Aerate and fertilize before the first freeze. While your lawn won’t use the fertilizer in its dormant stage, it will draw upon the nutrients as soon as the weather begins to warm. · Apply mulch. 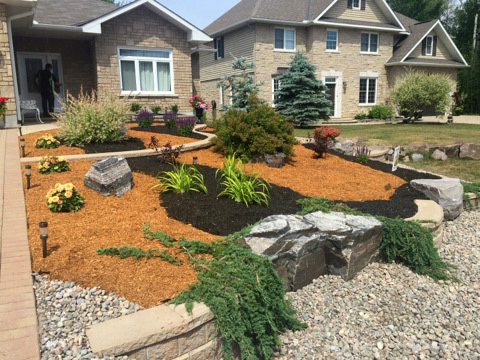 Mulch around trees, plants and shrubs add extra protection for winter. 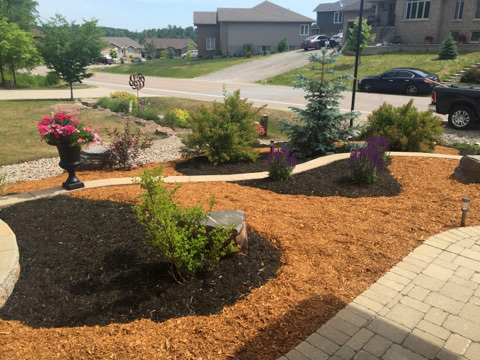 Mulching is also an important control for erosion and loss of water. · Prune most plants in the winter. The late dormant season is best for most pruning. Pruning in late winter, before spring growth begins, leaves fresh wounds exposed for only a short amount of time before new growth begins. · Protect against water loss. Apply anti-transpirants to plants and trees to help reduce water loss from plant leaves. Burlap wrapping also may be used to shield valuable evergreens from winter winds. · Take precautions against snow and ice. Tie branches together that may be susceptible to snow and/or ice loads. In addition, remove limbs that may break from snow or ice, as damaged trees are more prone to disease. · Protect tree trunks. Aside from the harsh winter weather, the other threat to your shrubs and trees during the winter is animals. Rabbits and mice especially can ravage the bark of a young tree. To prevent this, you can protect tree trunks with tree guards made of plastic or wire. We can customize a job specifically to your needs. We take the time to listen to you and try to help you make your dream a reality. 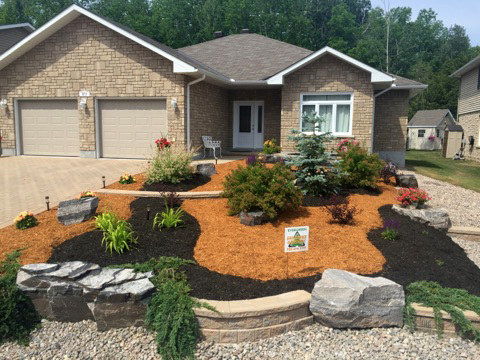 Call us today to see why we are one of the best landscapers in North Bay. 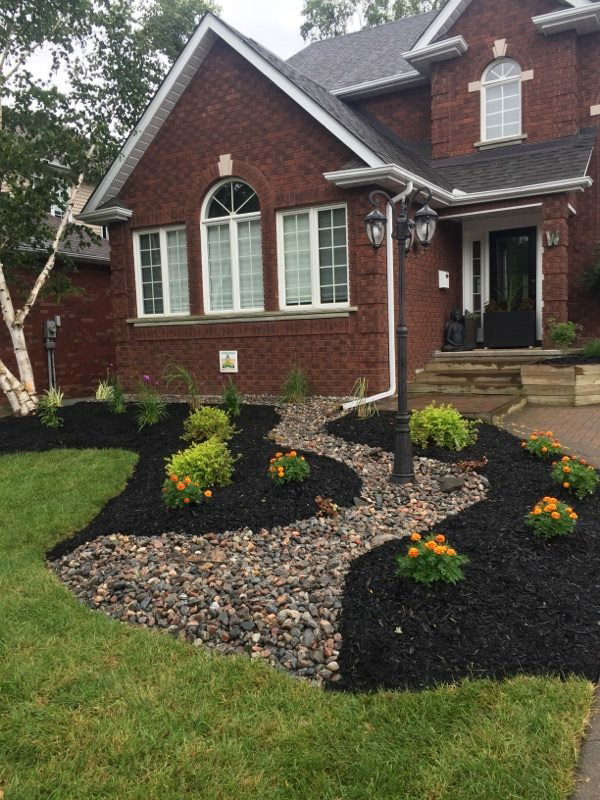 While it may not be as apparent or beautiful as garden pathways and blooming trees, good drainage is just as important to make any landscape attractive and functional. In fact, without proper drainage, all of the funds spent on beautifying the landscape could be wasted when it erodes or drowns due to improper drainage. Call us today! We can help!